Kaitlin Paxton joined Kamer Zucker Abbott in August 2014 and is happy to be back in the town she has called home for over two decades. Kaitlin represents employers of varying sizes and industries in all facets of labor and employment law. She has represented clients before administrative agencies as well as the state and federal courts. Kaitlin also has experience guiding clients through the union election process and has extensively participated in labor negotiations and arbitrations. In law school, Kaitlin completed concentrations in Labor and Employment Law and Intellectual Property and Technology Law. She combined those areas of law in her note, It's Not Just Physical: Finding a Neutral Interpretation of Authorization Under the Computer Fraud and Abuse Act, which argued for a more employer-friendly view of authorized access of protected information under the act. The article was chosen for publication in the ABA Journal of Labor and Employment Law. As a staff member of that journal, Kaitlin was named Best Editor of Volume 28 and served as the Lead Managing Editor of Volume 29. During school, Kaitlin was also an orientation leader, worked as the campus representative for one of the legal research services, and externed for the Honorable Kevin S. Burke. 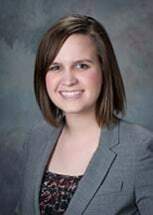 Prior to law school, Kaitlin studied marketing and hotel management at the University of Nevada, Las Vegas. Her internship for a nightlife marketing company turned into a full-time job after graduation. While it was a fast-paced, cutting-edge job, the legal aspects were always what interested her most. She is still able to utilize her experiences from her undergraduate degrees and former career by having a greater appreciation of how businesses operate.